Hepatitis C virus (HCV) is an infectious blood-borne virus which affects approximately 150 million people worldwide. If untreated, it can lead to liver cirrhosis, liver failure and death. It is one of the leading causes of end-stage liver disease, and has been called a “silent epidemic” as many people live with the virus for years without symptoms. Fortunately in the last five years there has been huge progress in developing effective therapies for the virus. Directly Acting Antivirals (DAAs) are oral tablets that are more than 90% effective in curing the virus and carry very few side effects. With a rapidly changing treatment landscape, there is an opportunity to reduce the health burden for those infected with HCV, and potentially eliminate it completely. For example, the Hepatitis C Coalition in the UK has called upon policy-makers to commit to halving HCV-related liver deaths by 2020 and eliminating the virus by 2030. (1) The keys to achieving these aims are ensuring those with HCV are tested and identified, have access to treatment and are engaged in healthcare long enough to achieve cure. The first step is to ensure people living with HCV are actually diagnosed. One of the most challenging aspects of testing for HCV is that many people may live with the virus for many years without symptoms. Of the estimated 214,000 people with HCV in the UK for example, only around 50% have been diagnosed. (2) One of the reasons for this may be that the screening policy in the UK is to offer “targeted testing”, in other words, testing those deemed to be at highest risk: e.g. people who inject drugs, prisoners, sexual partners of someone with HCV, or those who have had medical or dental procedures abroad. (3) The problem with this approach is that we are likely to be missing significant numbers of people living with the virus. A more effective approach may be to offer HCV screening to a much wider population, a tactic known as “universal testing”. This can be conducted in any healthcare setting, such as GP practices, A&E departments, antenatal clinics and sexual health services. Anonymous studies of laboratory blood samples suggest that in many of these settings prevalence of Hepatitis C may be much higher than known. (4) Two UK studies are looking at HCV screening in A&E departments and GP surgeries. (5,6) Since 2012, anyone in the baby-boomer group (born between 1945-65) in the USA has been offered a one-off HCV blood test. (7) The cost of the test per positive diagnosis could be even cheaper if bundled with other blood-borne virus tests for HIV and Hepatitis B. These tests could be translated to other healthcare settings globally with the right political and financial incentive and support. In countries where new HCV treatment is readily available, it will be important to urgently scale up treatment response beyond current targeted testing policies. This will require not only the cooperation of healthcare professionals, but also policy-makers to ensure HCV testing is a health priority. However, in low- and middle-income countries, the first hurdle will be making these new drugs accessible in these resource-limited settings. We owe it to all those living with HCV, a potentially fatal virus, to close the gap between the diagnosed and undiagnosed and ensure all have better access to care, including the newest effective therapies. (5) Orkin et al. Incorporating HIV/hepatitis B virus/hepatitis C virus combined testing into routine blood tests in nine UK Emergency Departments: the “Going Viral” campaign. HIV Med. 2016 Mar;17(3):222-30. (6) Chronic viral hepatitis in ethnic minorities. 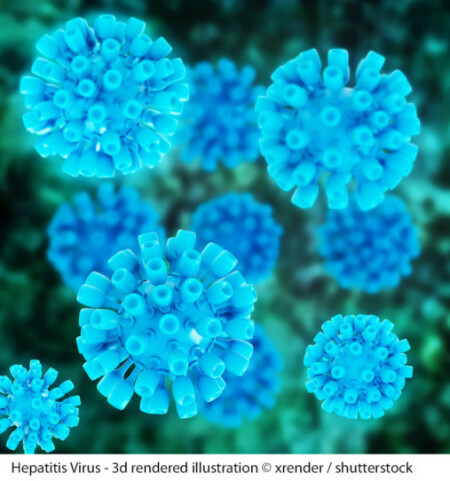 A controlled randomised cross sectional cluster trial to assess the impact of identifying, screening and treating immigrants with viral hepatitis.UK Clinical Trials Gateway 2014-2017.